Home/ Tech-Fashion /Coca-Cola Invents A Selfie Bottle ! 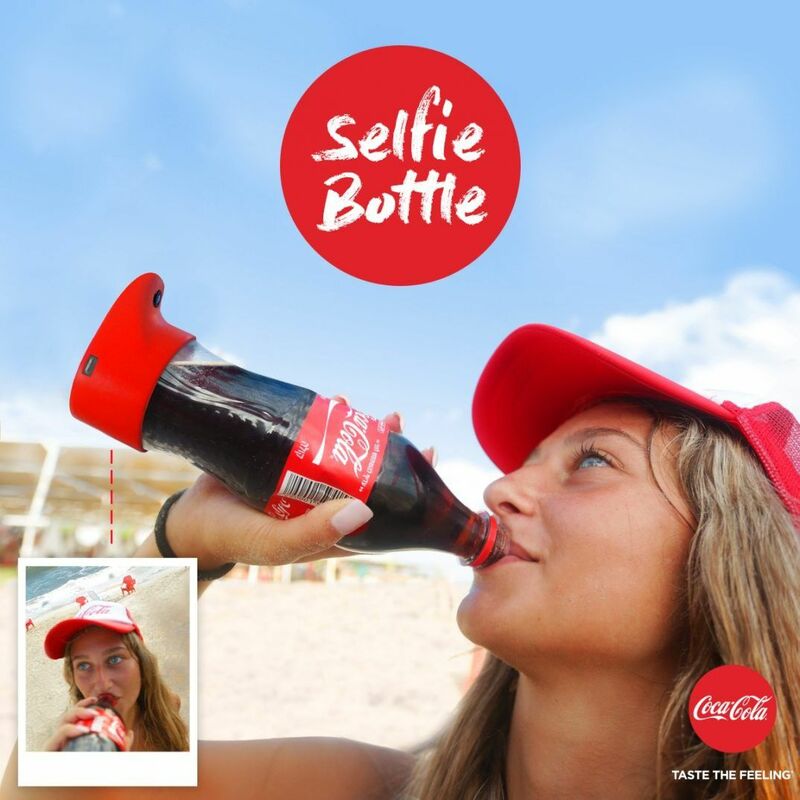 Coca-Cola Invents A Selfie Bottle ! Coca-Cola's latest market strategy after the known "name customization" is a"selfie bottle" that has an integrated camera that automatically takes snaps when you take a drink. A camera is positioned in the base of the Coke bottle and activates when you tip the bottle 70 degrees, ad industry site The Drum reports. You can then share the pictures to Instagram, Facebook and Snapchat. Photo Lovers would like this. Just make sure to hold it the right way up or you'll be taking pictures of your chin or ears. The product was created by advertising agency Gefen for Coca-Cola Israel as part of its Summer Love outdoor festival. There's no word as to whether the bottle will make it to stores in Nigeria or even other parts of the world ,but you can get it on eBay.